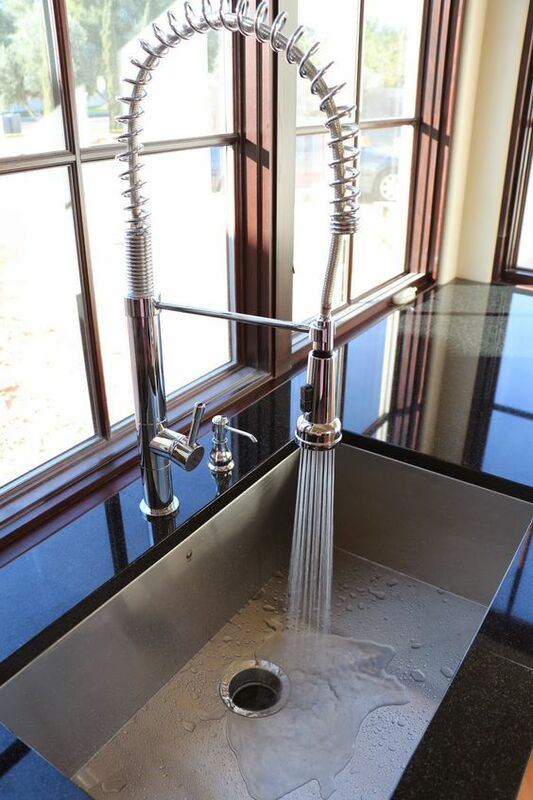 Never overlook the value of a well designed kitchen sink. As the hub of any kitchen, your sink must be highly functional, hard wearing as well as beautifully made to withstand the daily grind of your busy life. The big kitchen trends this year include functional sinks; scratch proof, heat resistant and acid resistant, in traditional and new shapes and in different colors and different materials. The choices are great; which one would suit your kitchen? While you may not replace your kitchen sink very often, when you do, you want to get it right. Awell designed sink can make or break your kitchen design. 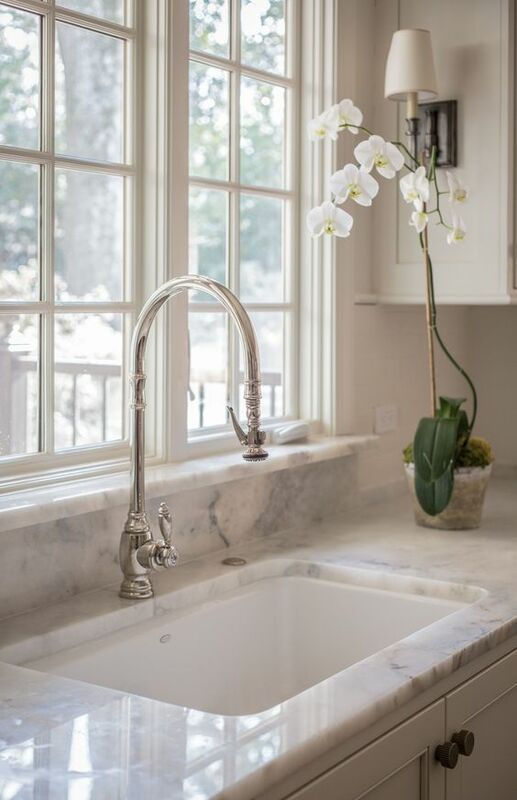 Here are 5 kitchen sink trends that will instantly change the look of your kitchen. Its a great time to rediscover your kitchen and the kitchen sink is no exception. 1. 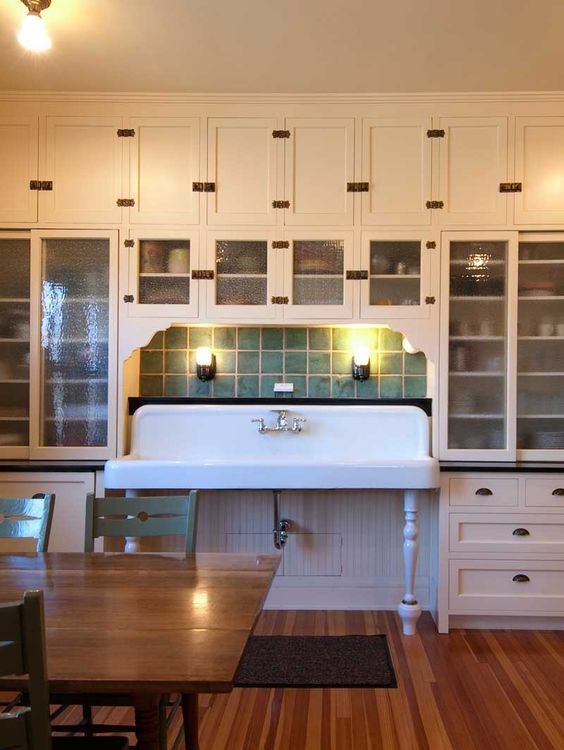 Undermount Sinks — If you love a seamless look, the undermount sink is perfect. It sits neatly under the counter top, eliminating joins and seams. Undermount sinks offer a clean sleek look; perfect for modern contemporary kitchens. 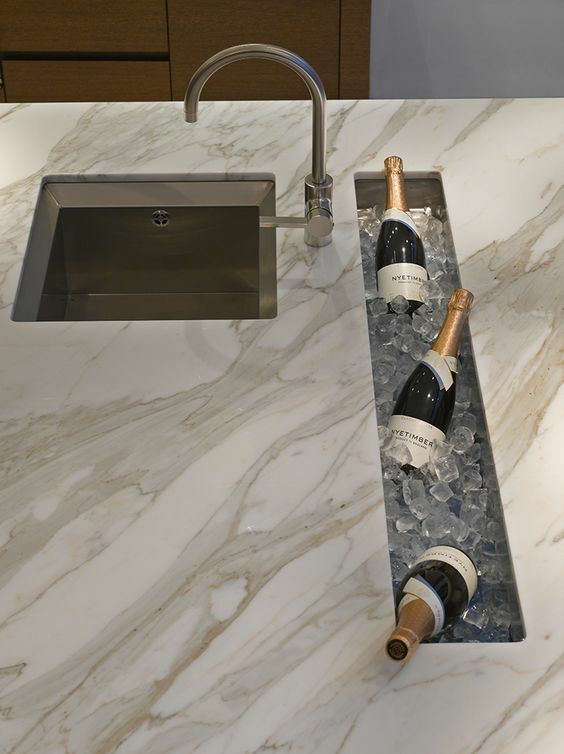 Your countertop, resting on top, adds extra depth to the sink, making it look and feel deeper and generous. 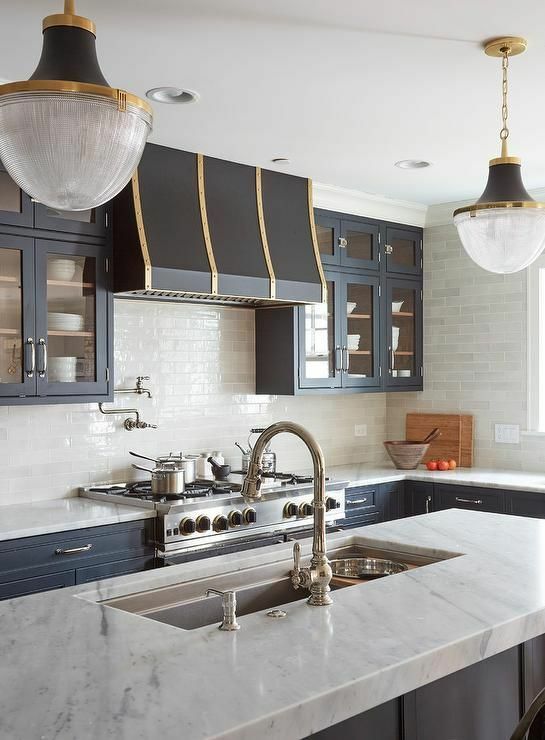 If you like marble, granite, concrete or stone countertopsto go with your cabinets, you are on trend as they all work well with this look for both double or single sinks. 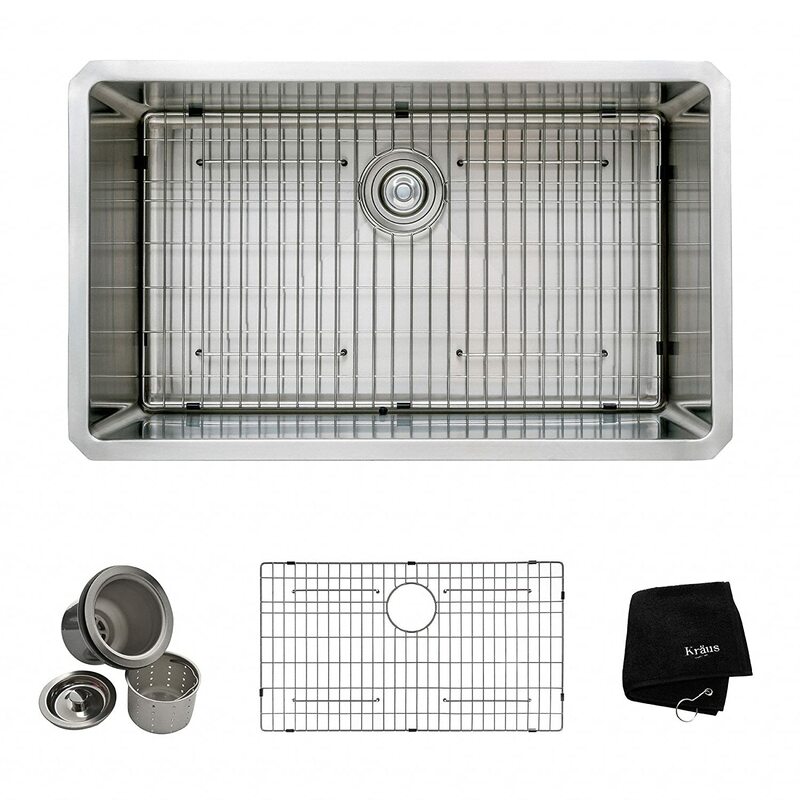 But its not only the seamless countertop that you will love; this style of sink and countertop keeps out water, crumbs or dirt that can collect around top mount sinks. Over the years, this can change the fit around the top mount sink and is the perfect breeding ground for mold. 2. 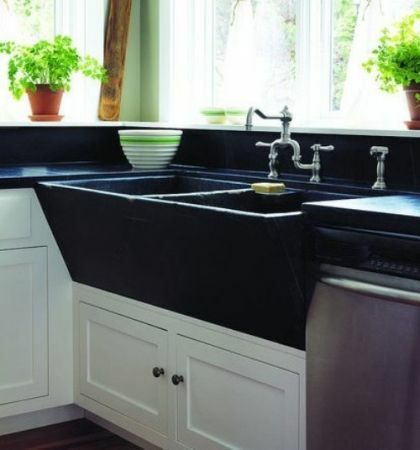 Granite Sinks — Who doesn't like granite? Solid and impressive, granite sinks are a big feature this year. 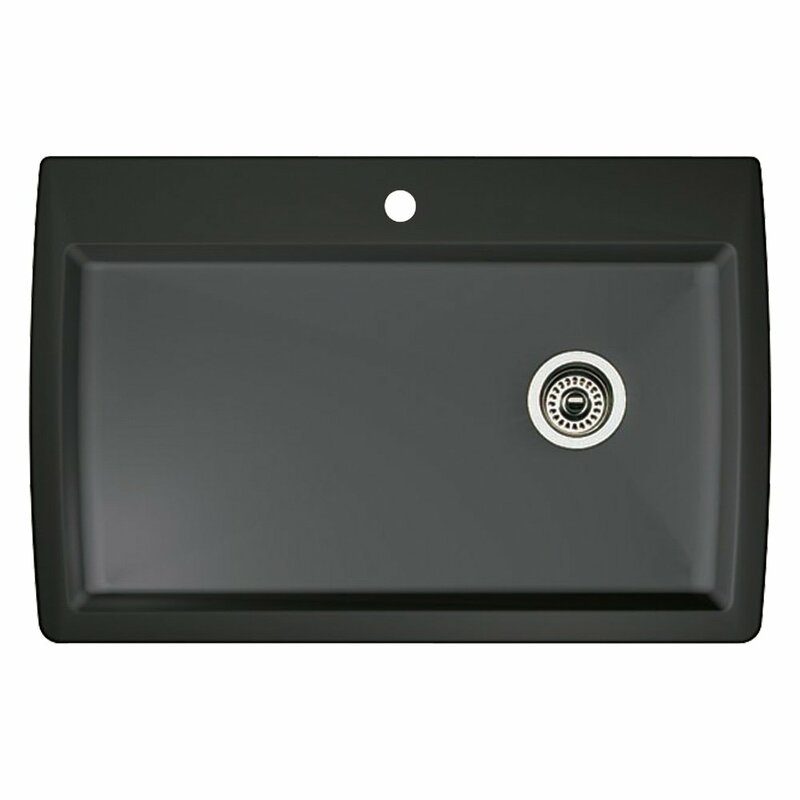 There are new composite granite sinks made up to 80% of granite which look incredibly stylish and incredibly durable! 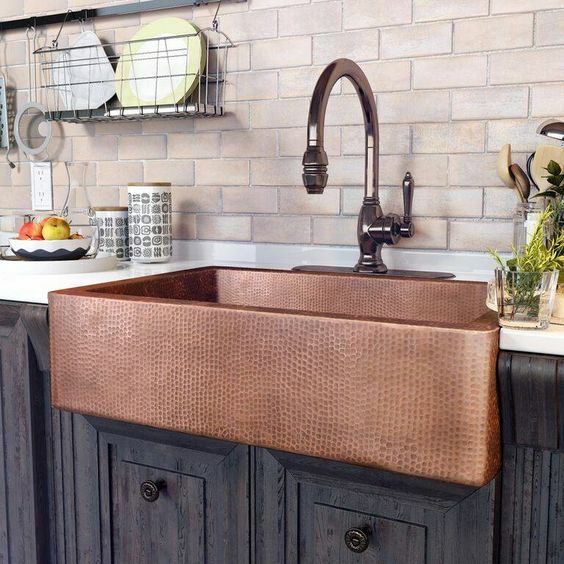 The farmhouse sink below may look beautiful, but its also strong and durable as well as heat, scratch and acid resistant. Another bonus is that they are easy to clean and come in different colors. If you have a busy kitchen and love a large sink then this long trough could be just what you are looking for. 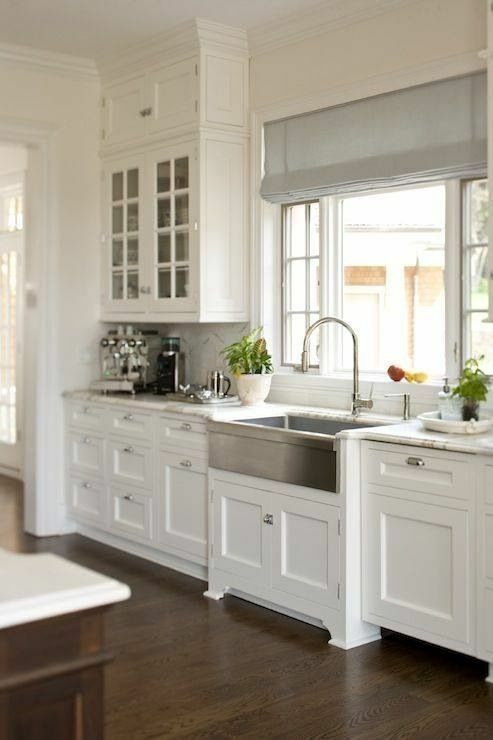 Its over sized proportions make a great feature in any kitchen. 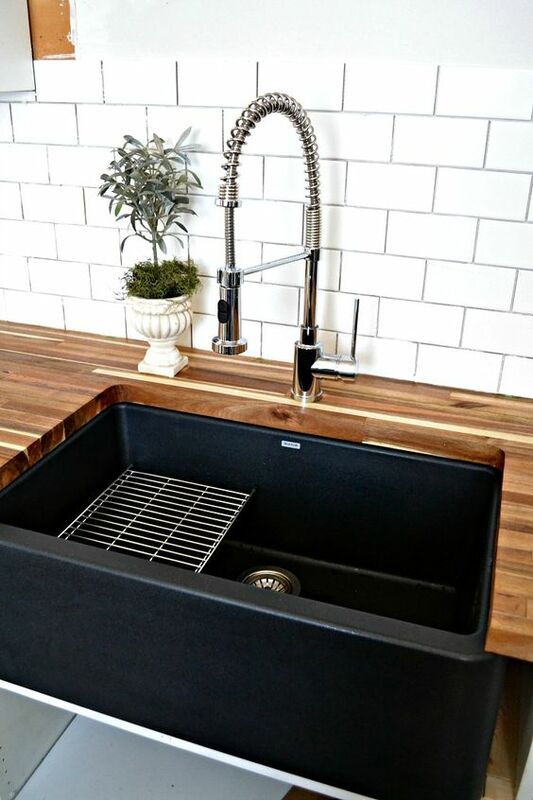 Choose yours in stainless steel, copper or even a reclaimed sink. With strong lines, it has an open, generous look that many of the new kitchen sink trends have in common. Here's another take on the trough sink below. Champagne, anyone? Who knew that the single basin kitchen sink would become so popular again? But they have changed becoming deeper and longer with generous proportions. 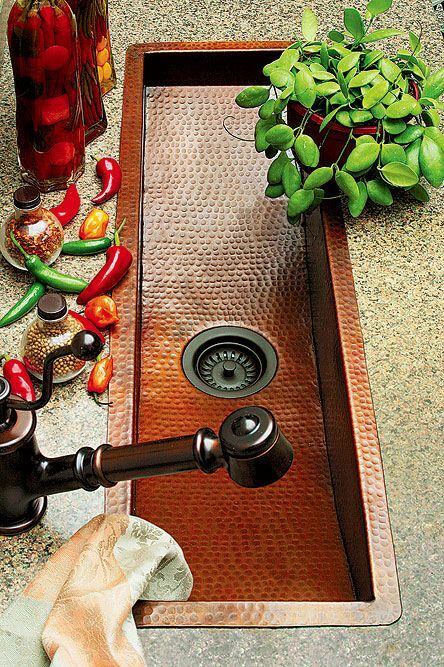 Like so many other kitchen sinks you can get them with different textures and materials for any well loved kitchen. Stainless steel, copper, apron, farmhouse or fluted, their over-sized proportions work well in any kitchen. 5. Enameled Cast Iron Kitchen Sink Trends— Beautifully classic, enameled cast iron sinks are still popular. 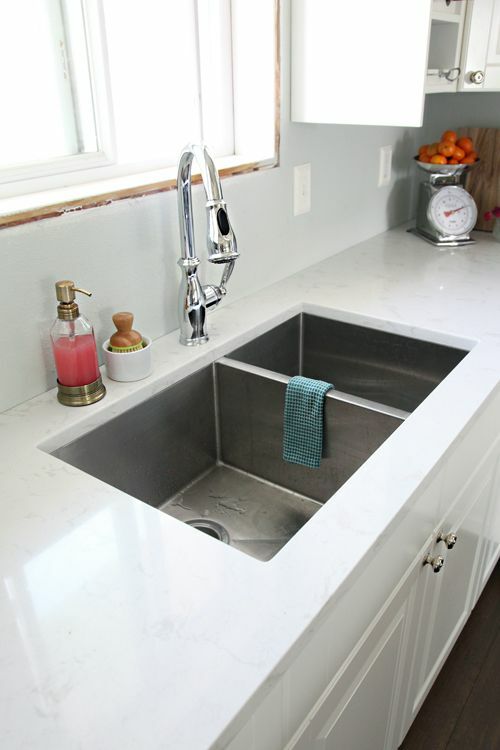 If you have one, or want to used a reclaimed sink, consider repairing it because they can scratch, stain and chip, and repairing is not only cheaper than replacing but is full of character.